Athens Christian Preparatory’s annual Father-Daughter Ball is scheduled for Feb. 27, from 7 p.m. to 9 p.m. at the Cain Center. This is the 8th year for this event hosted by the school for Athens and the surrounding communities. “We began this project in 2009 because we wanted to do something for the community. We liked the idea of celebrating the special relationship between fathers and daughters. The event has grown every year with 2015 being our largest crowd yet,” said Teresa DeMay, Head of School for ACPA. This year’s theme is Beauty and the Beast. There will be appearances by Belle and the Beast, as well as other characters from the story. “This year there will be two photography booths so that the wait will not be as long. We will also have a special food table for the girls and the famous ‘bacon bar’ for the dads. The ticket price includes the dance, food, photo, and a t-shirt and a special gift for each girl,” said Stephanie Millar, this year’s ball coordinator. Tickets are a base price of $40 per couple, plus $5 for each additional daughter if purchased by Feb. 20. Purchases after that date will increase to a base price of $50 per couple. Tickets may be purchased online at www.athensprep.org using the Paypal button, or directly at the school located at 2621 US Hwy. 175E Athens, TX. There is an extra incentive to purchase early this year. The TVCC Cosmetology School is partnering with the event to offer a free “Princess Makeover” for 40 lucky little girls. To enter the drawing for the makeover your ticket must be purchased by Feb. 20. The drawing for the makeovers will occur on Feb. 21 and the winners will be notified individually. The makeover will include styling their hair and a manicure before the dance. 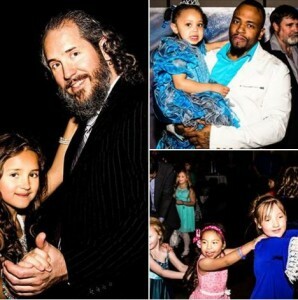 You can receive updates and information on the dance by “liking” the Facebook page, ACPA Father & Daughter Dance.